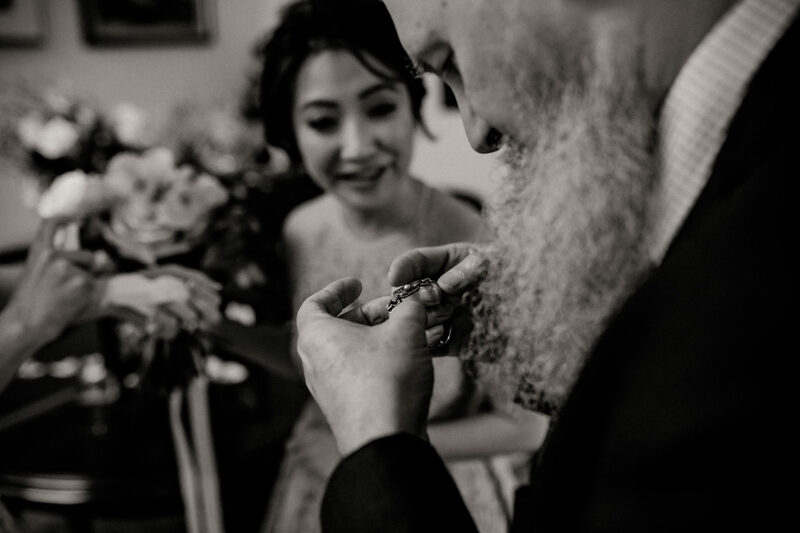 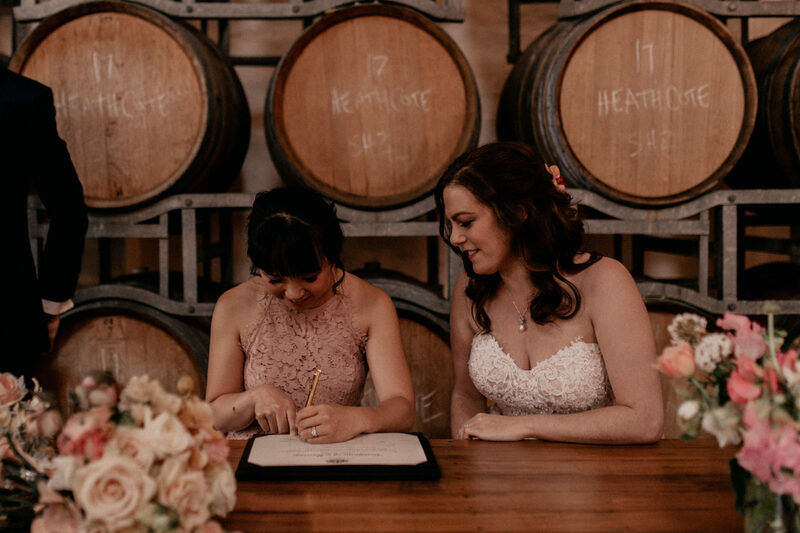 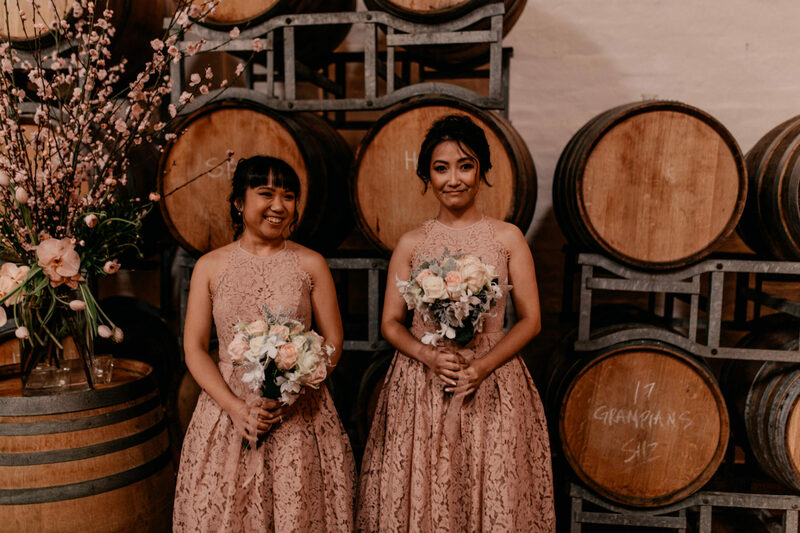 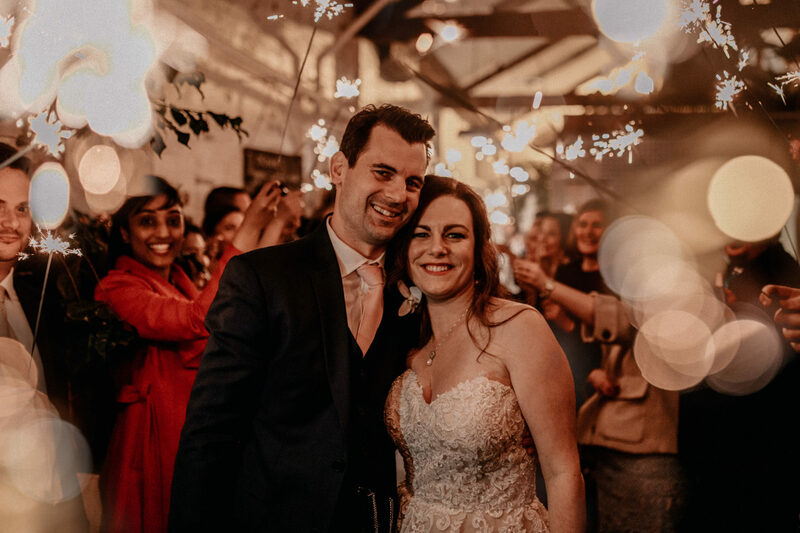 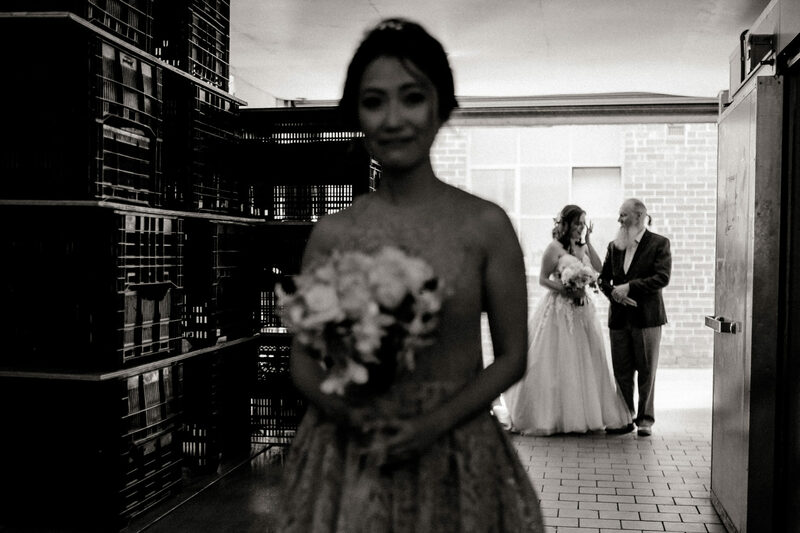 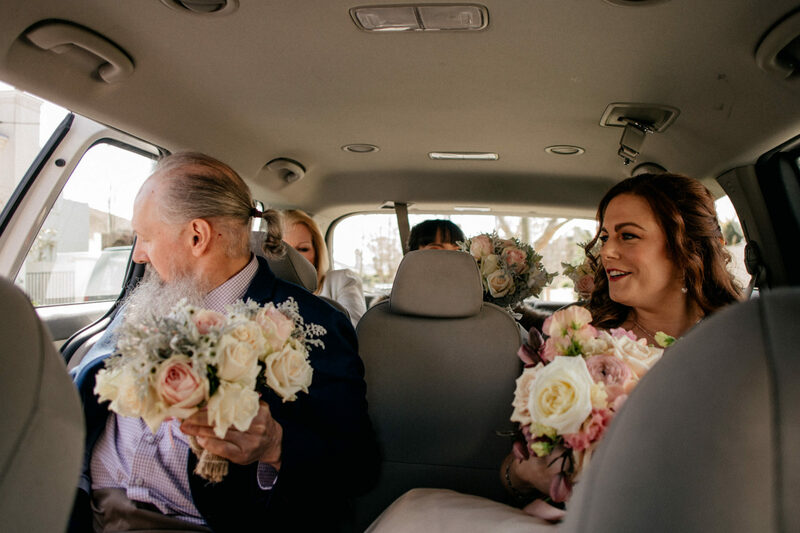 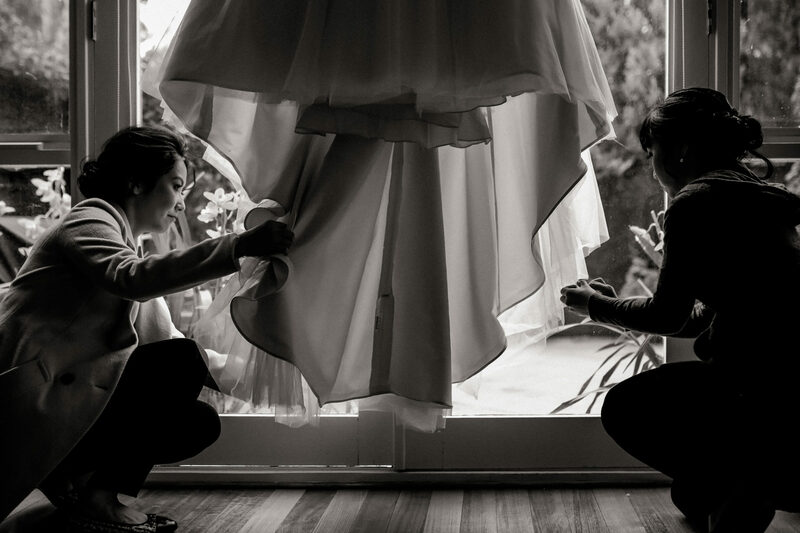 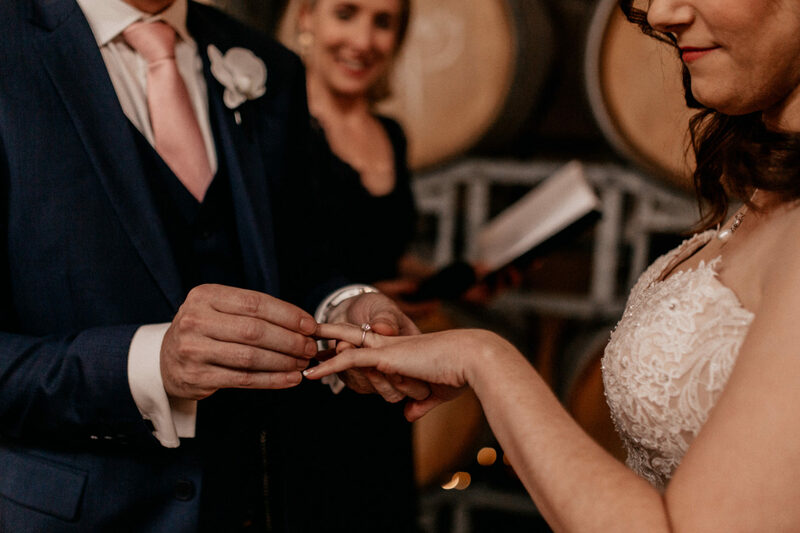 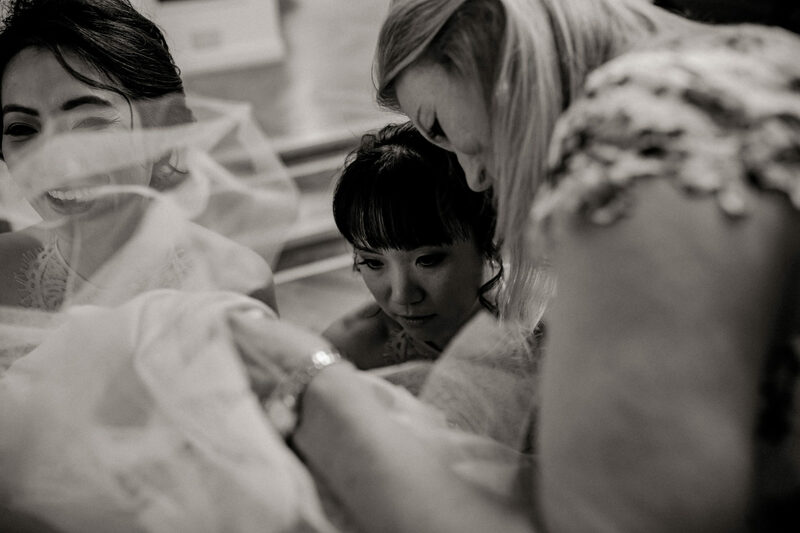 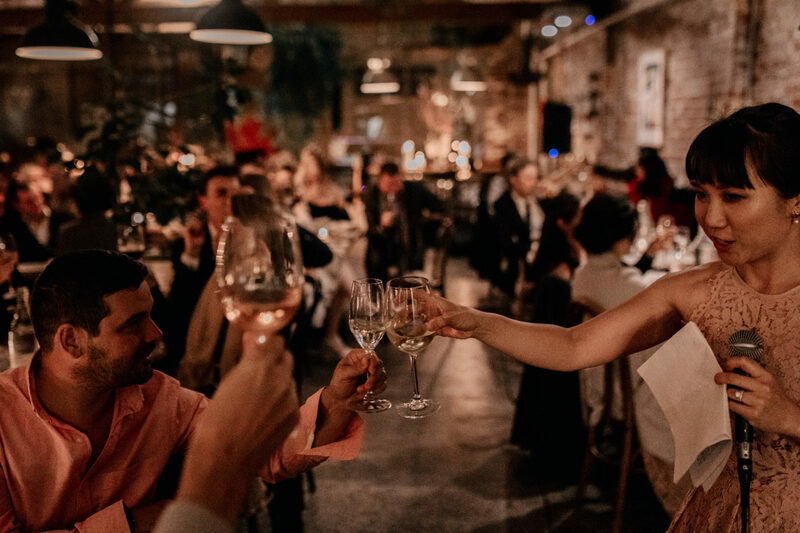 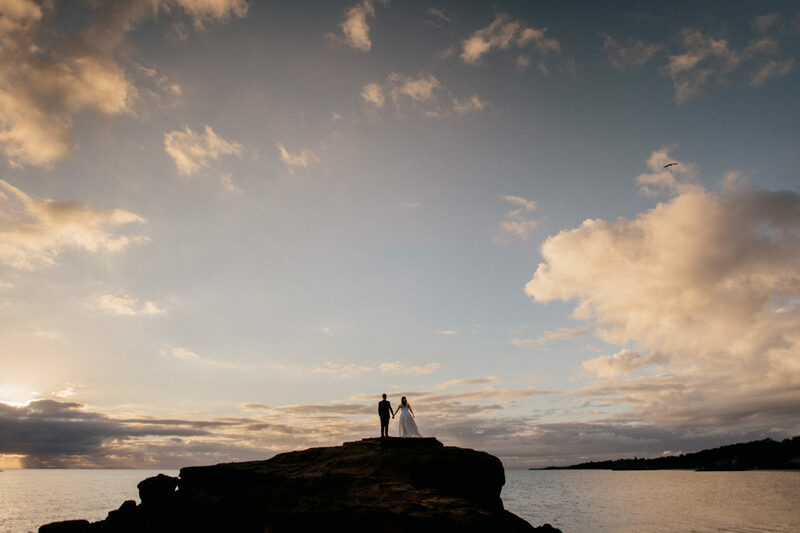 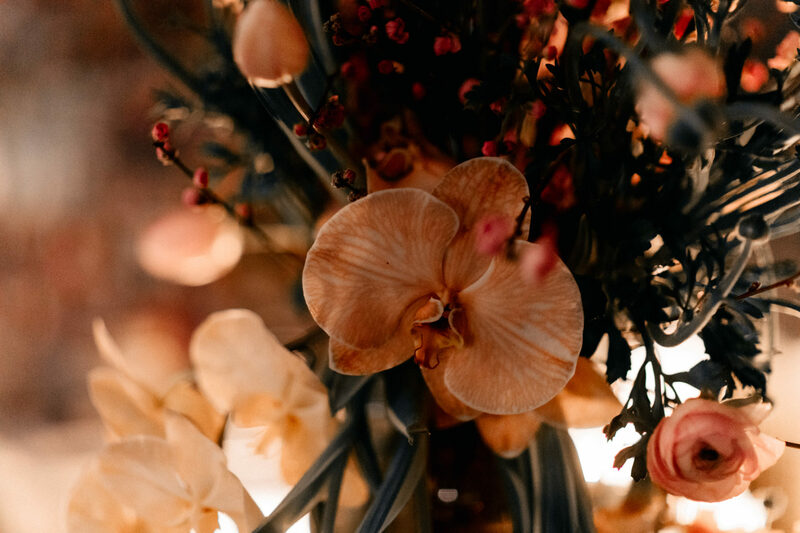 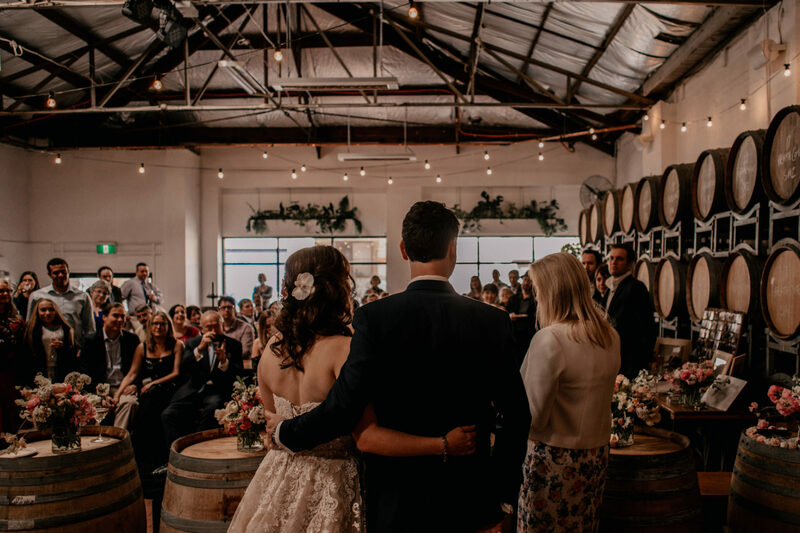 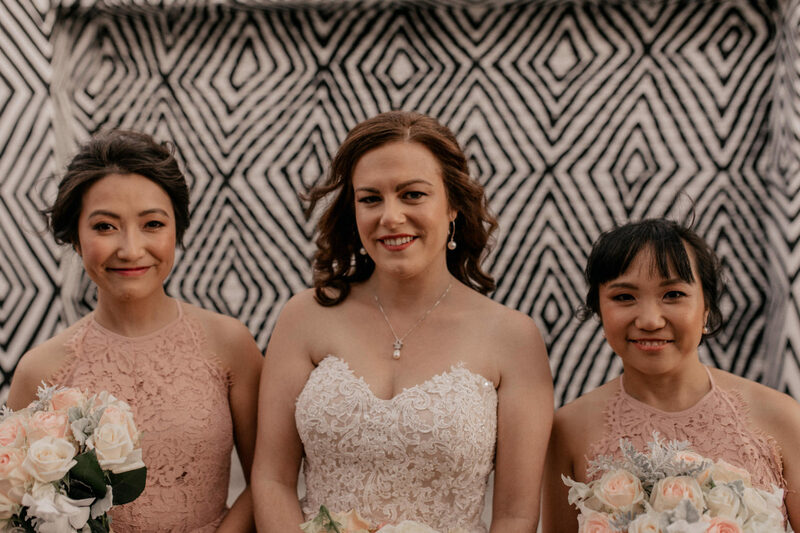 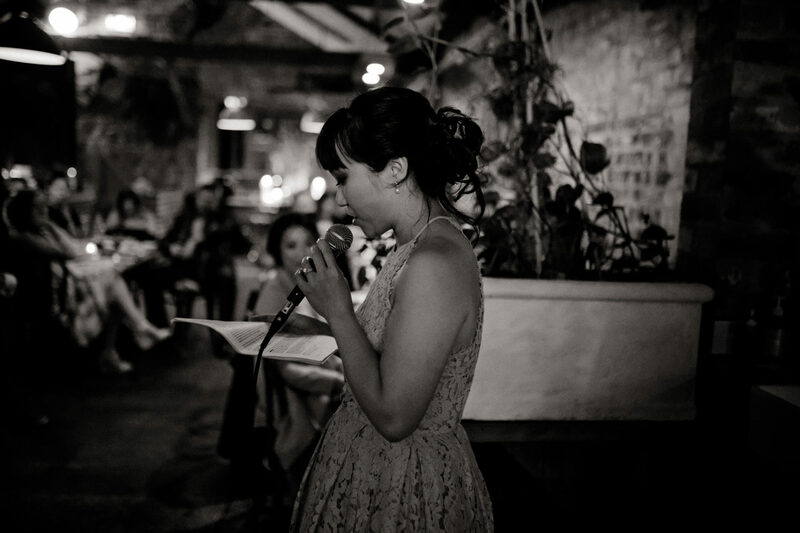 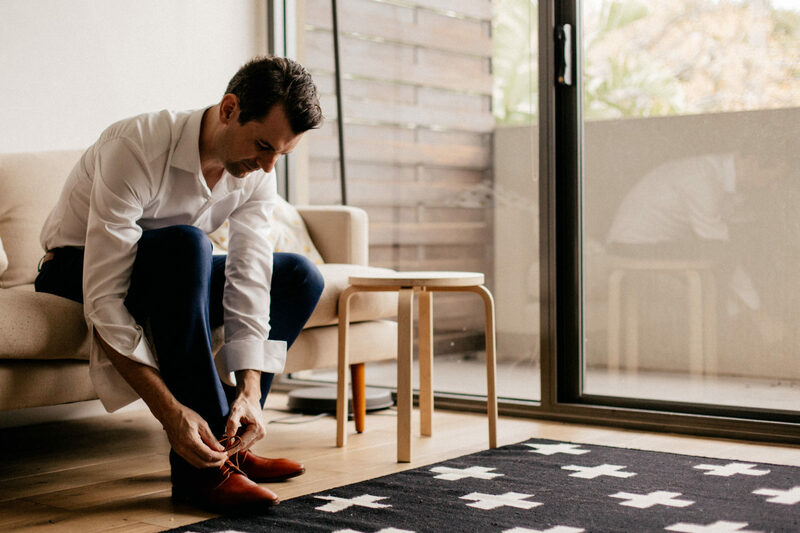 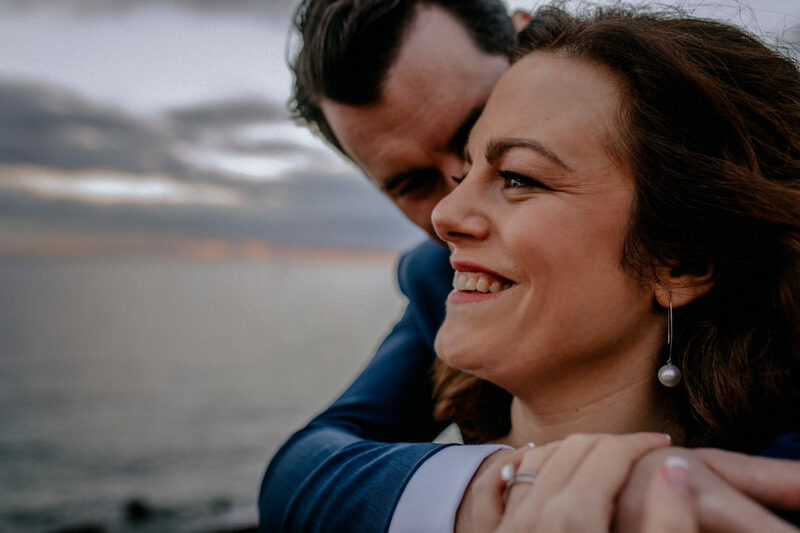 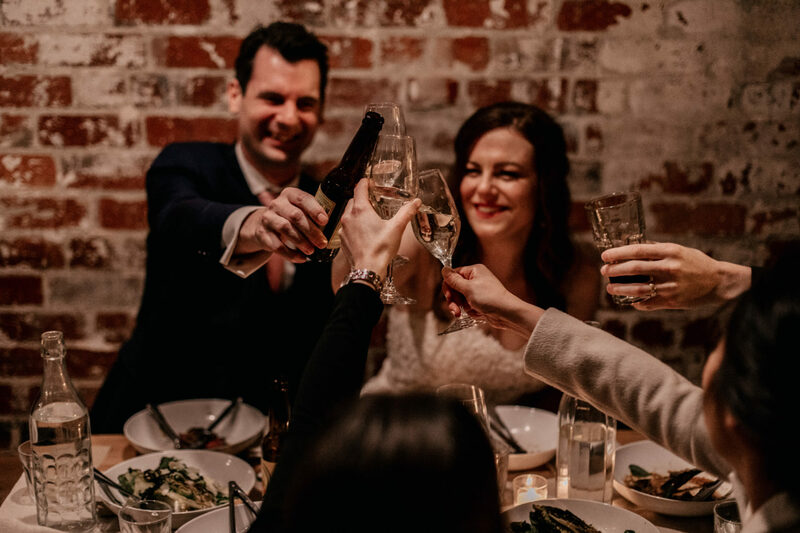 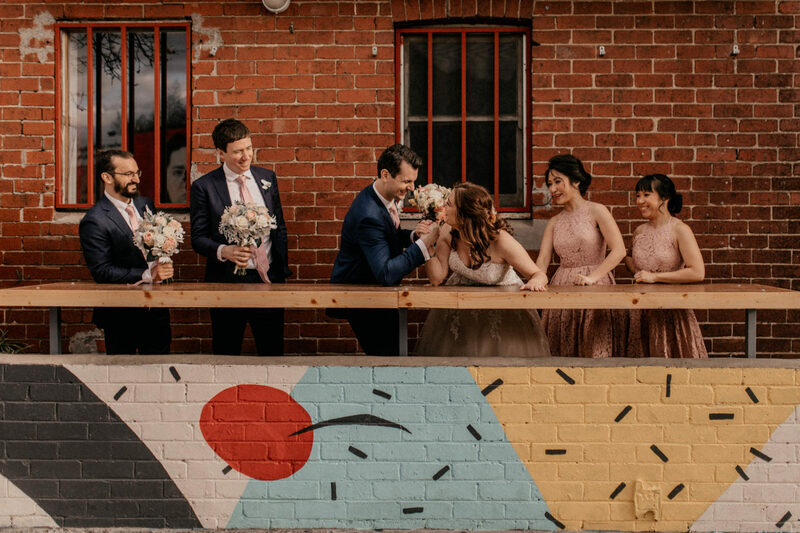 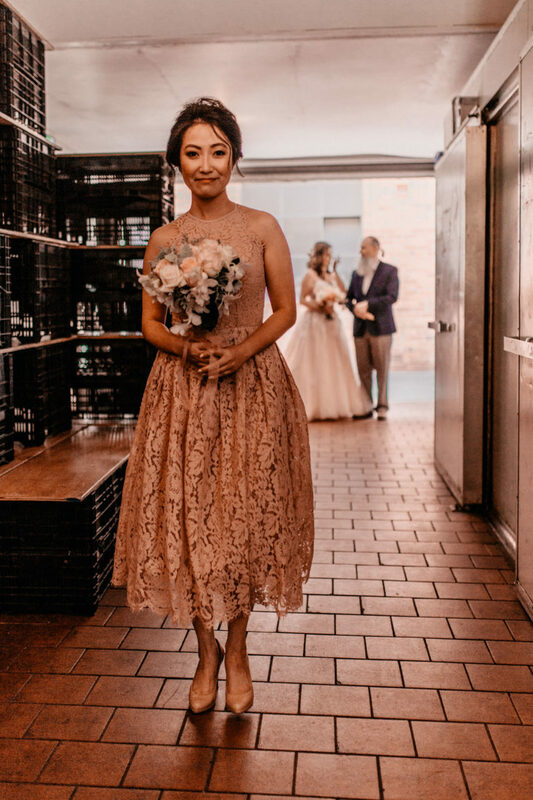 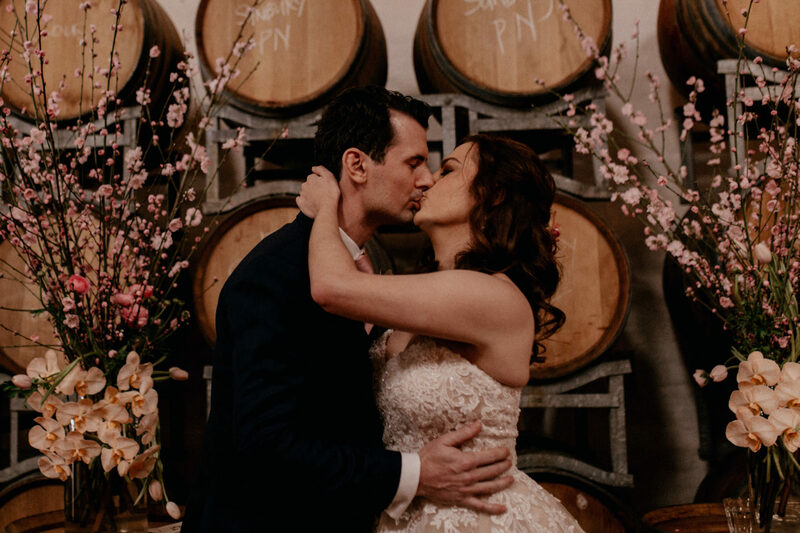 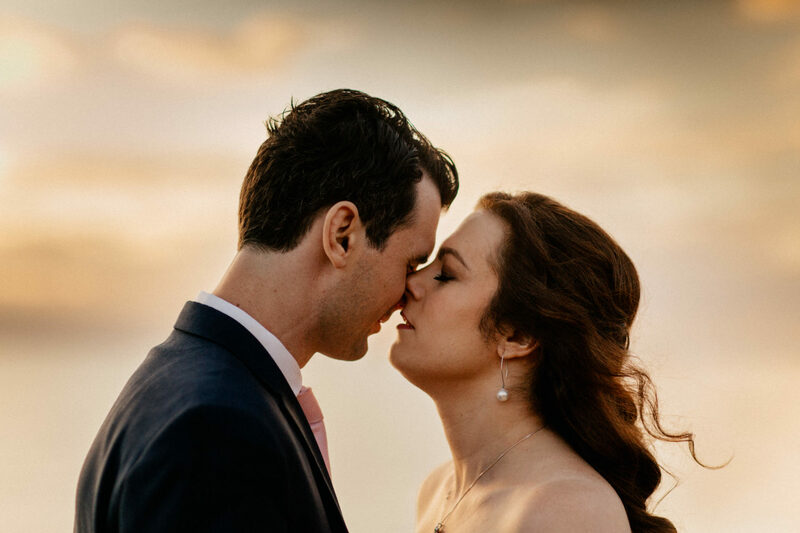 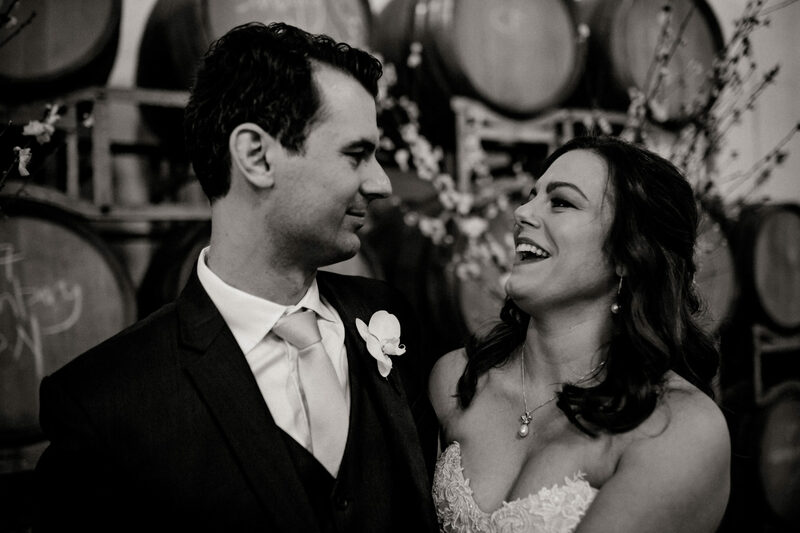 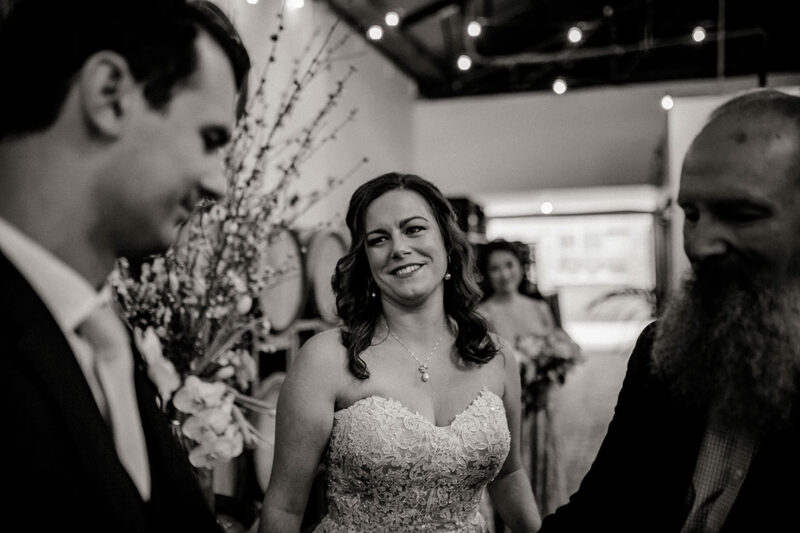 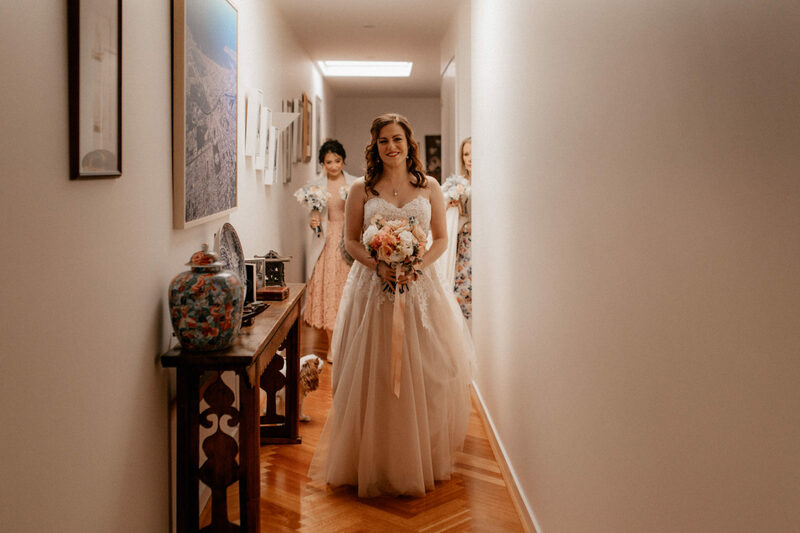 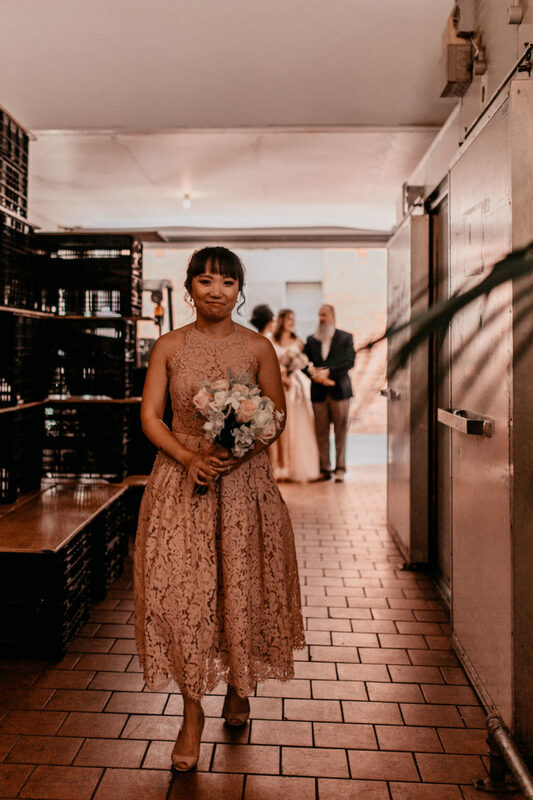 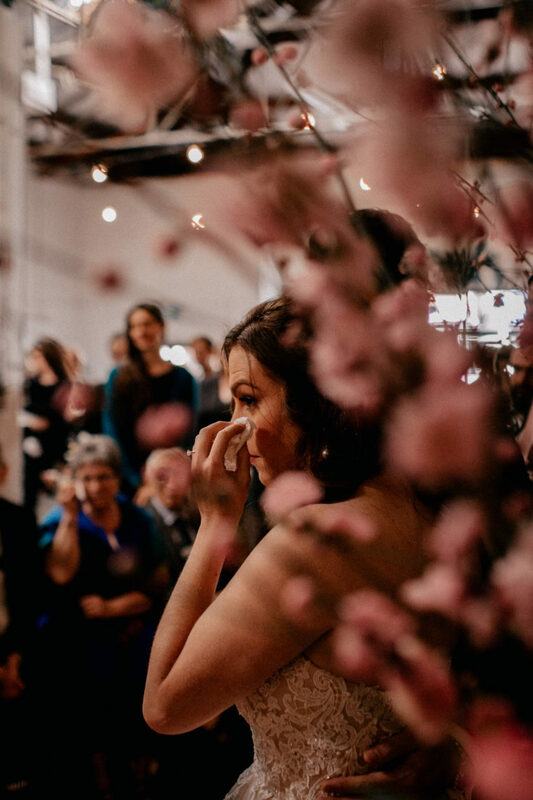 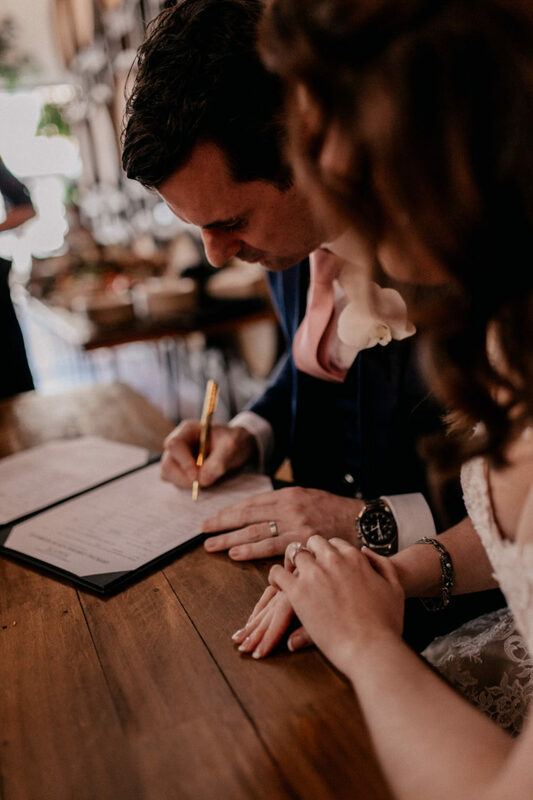 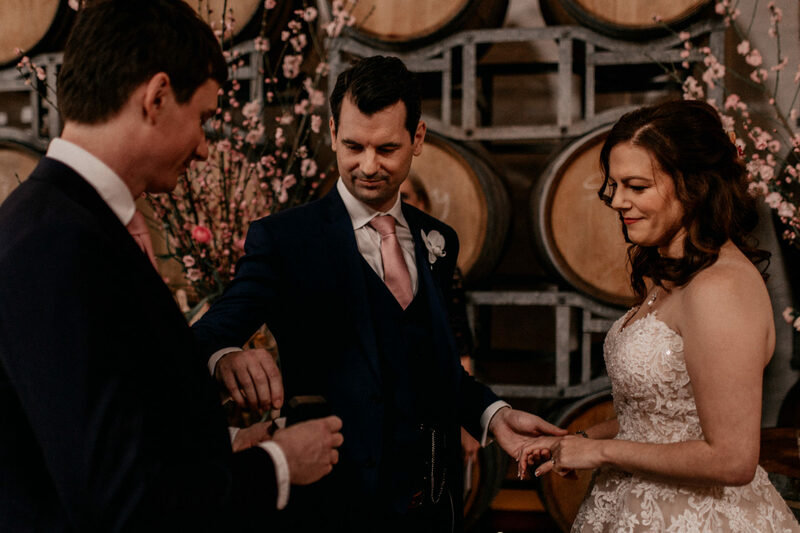 Melissa and Kai have lived in Singapore for the last years but when they were planning their wedding it was clear from the start that they wanted to celebrate at home in Melbourne, with all their friends and family. 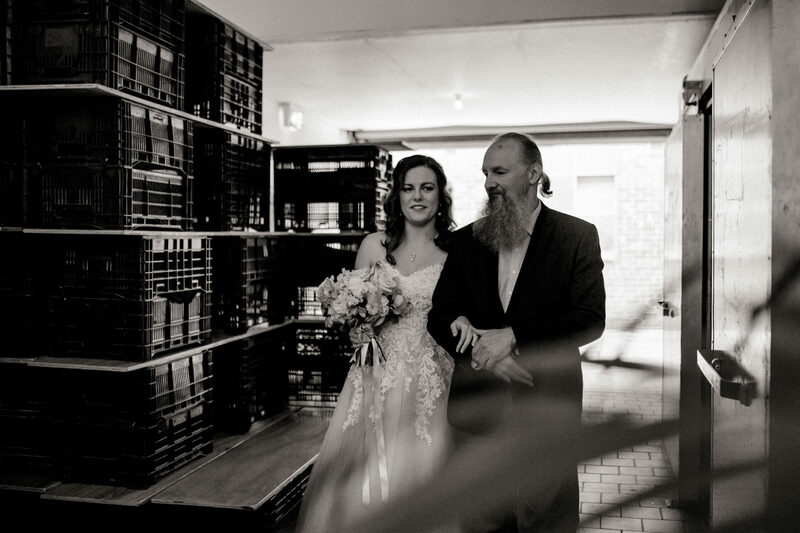 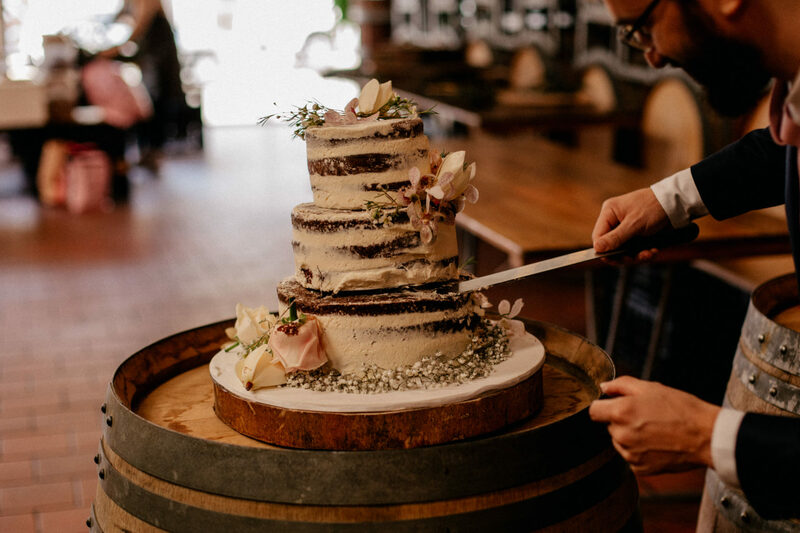 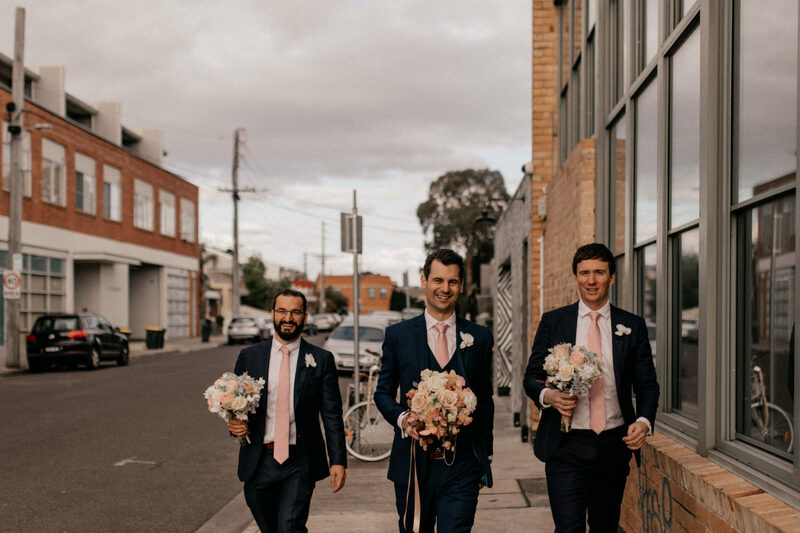 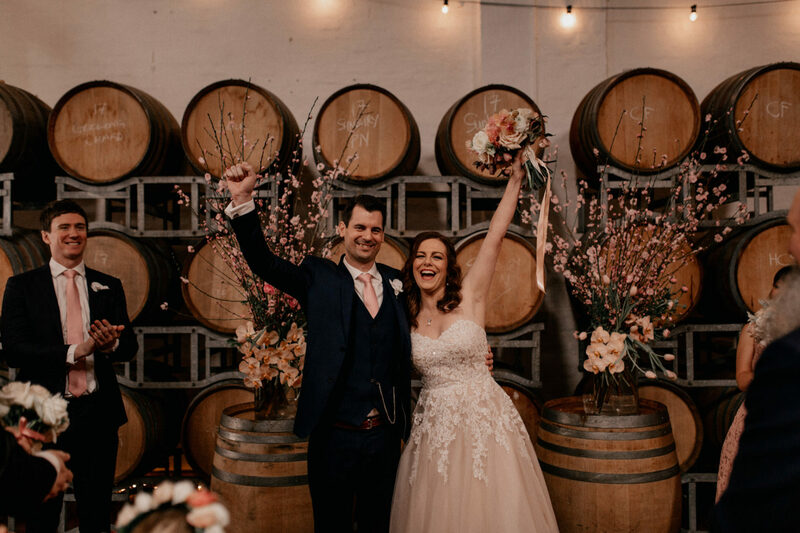 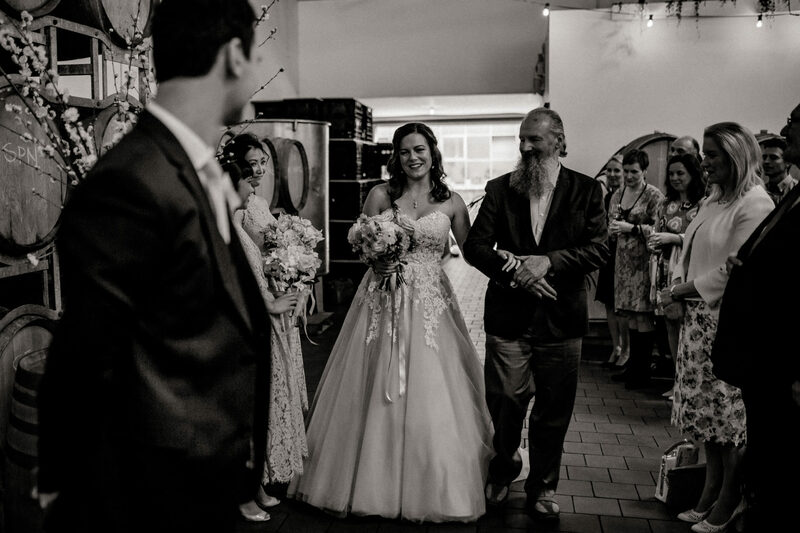 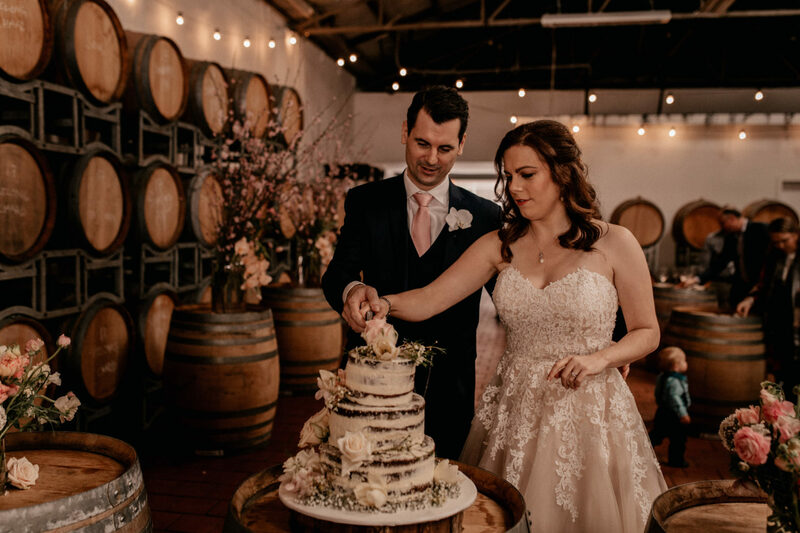 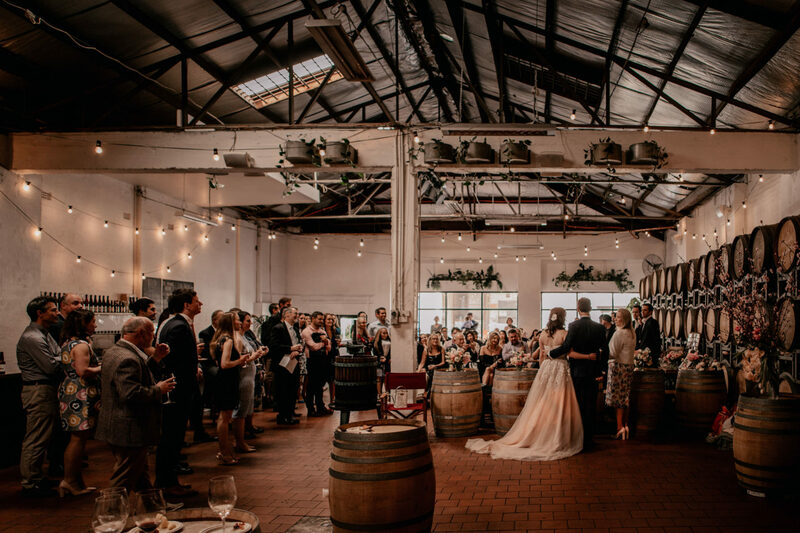 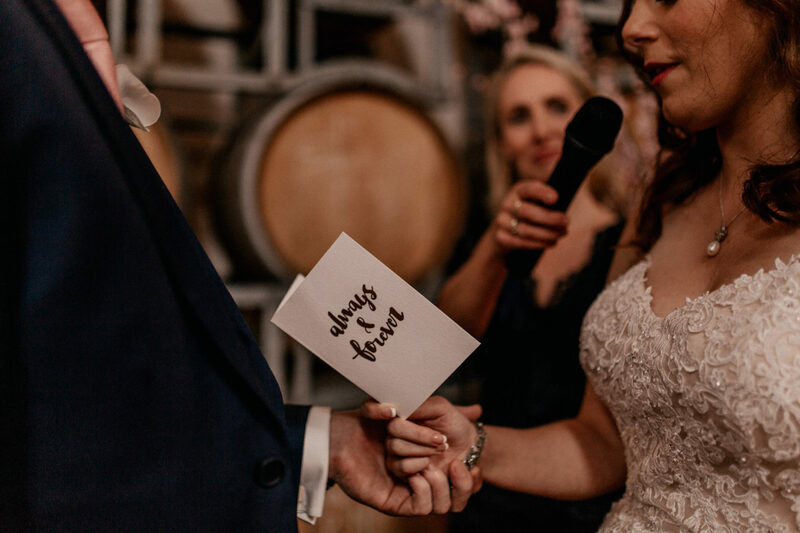 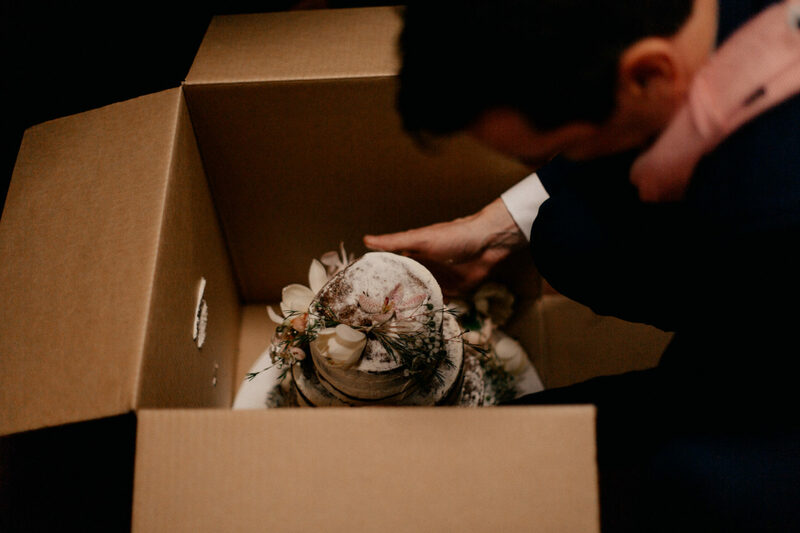 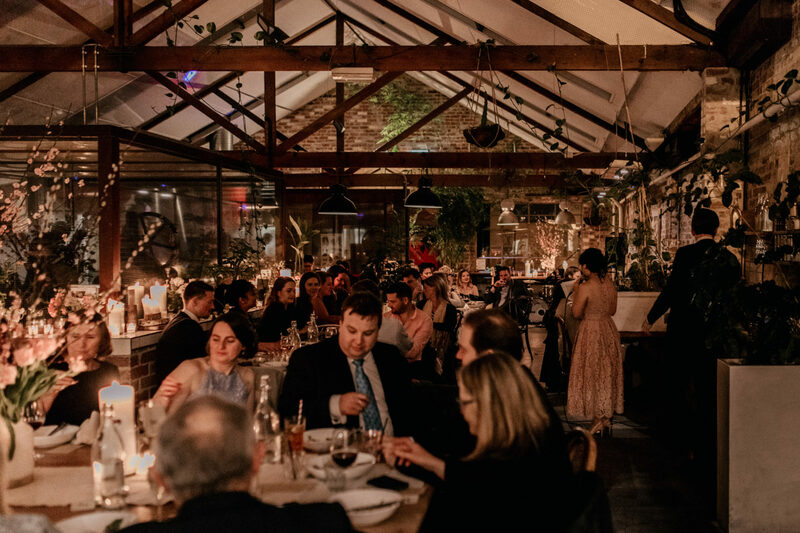 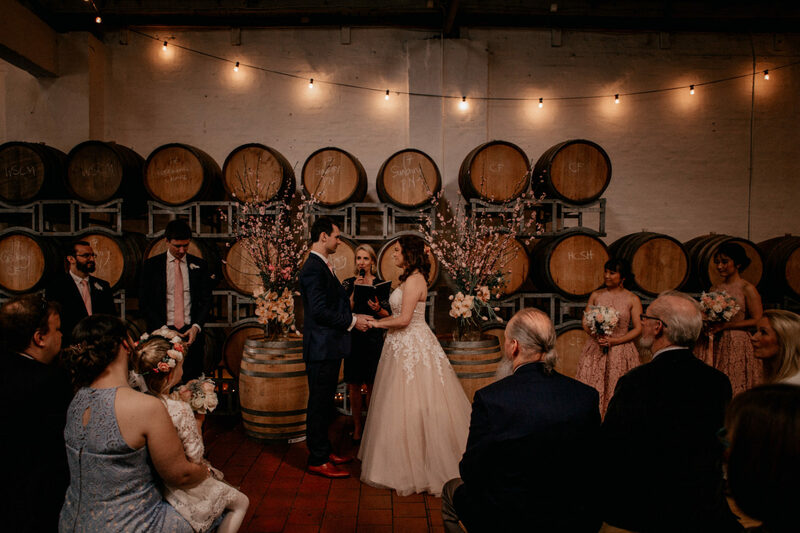 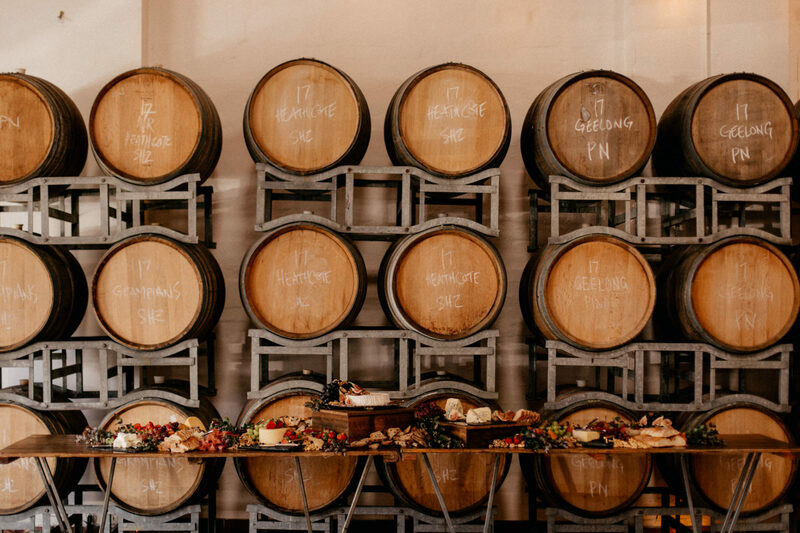 They wanted a rustic Melbourne style wedding and I think they have done amazingly with planning all this from abroad. 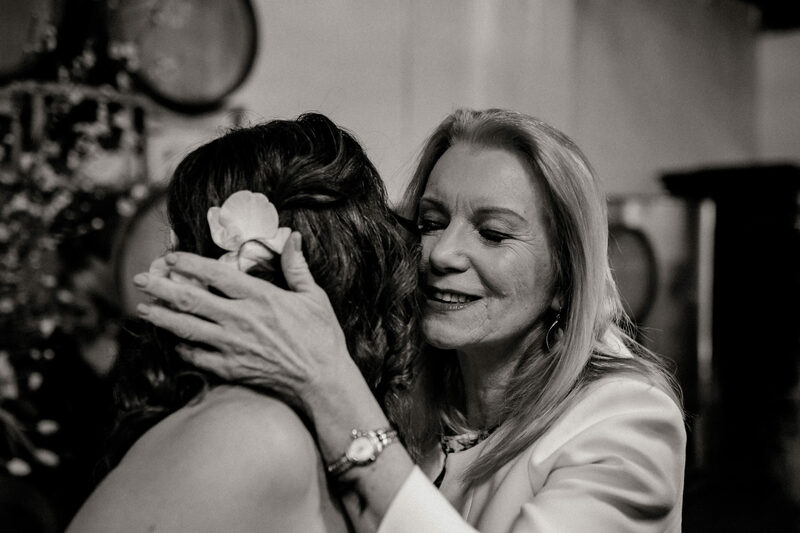 Well, I also know what amazing effort their families here, especially their lovely moms have done, too, to make this day as wonderful as it was. 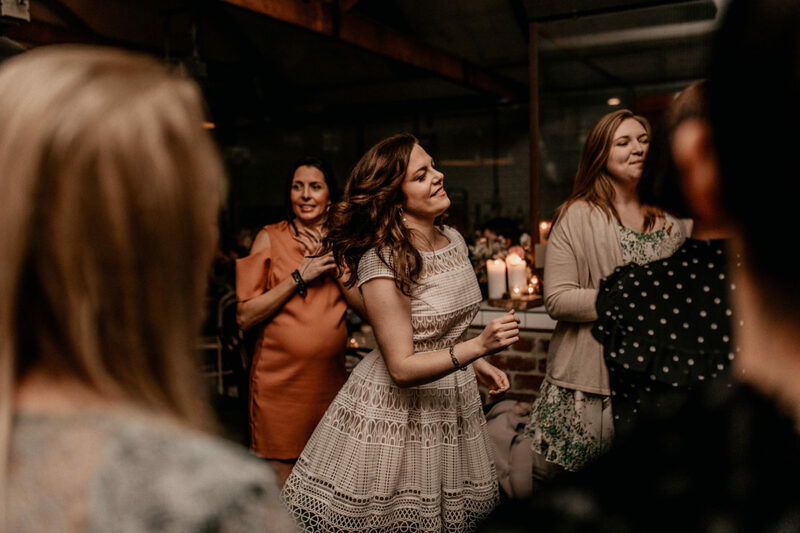 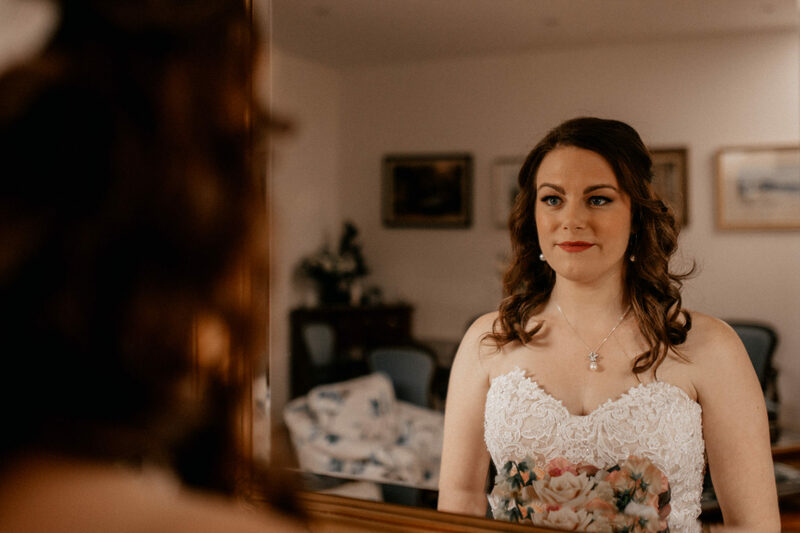 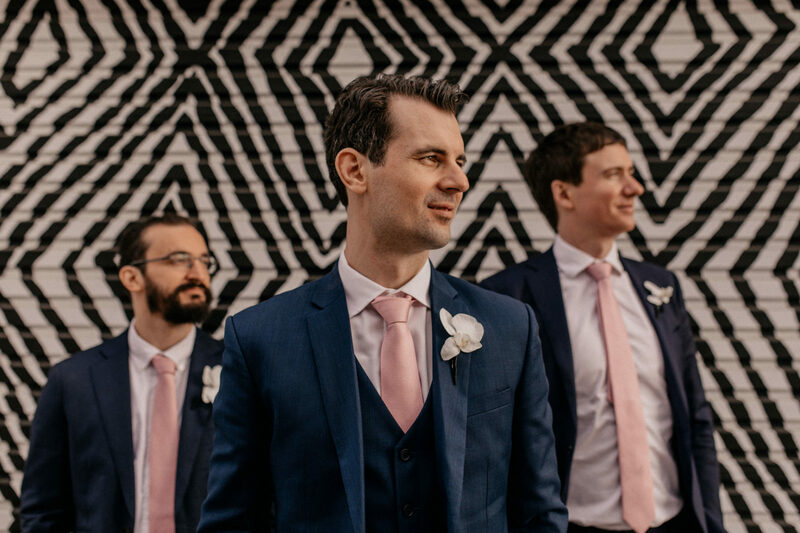 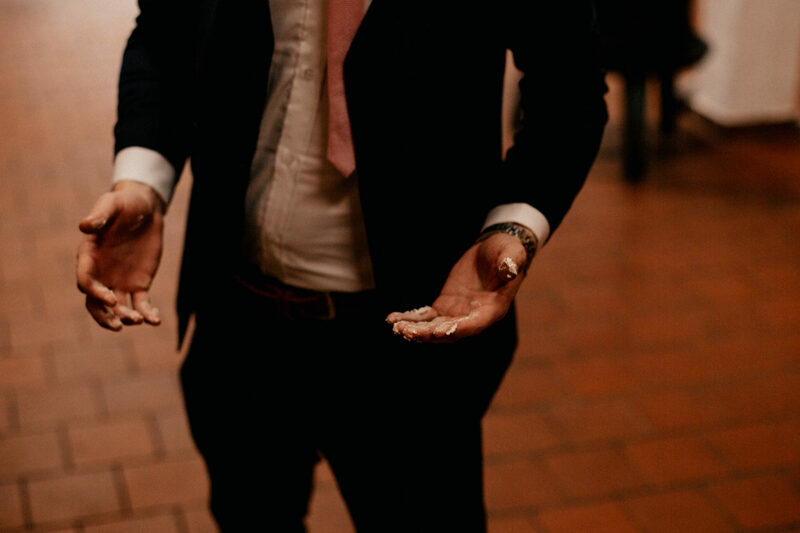 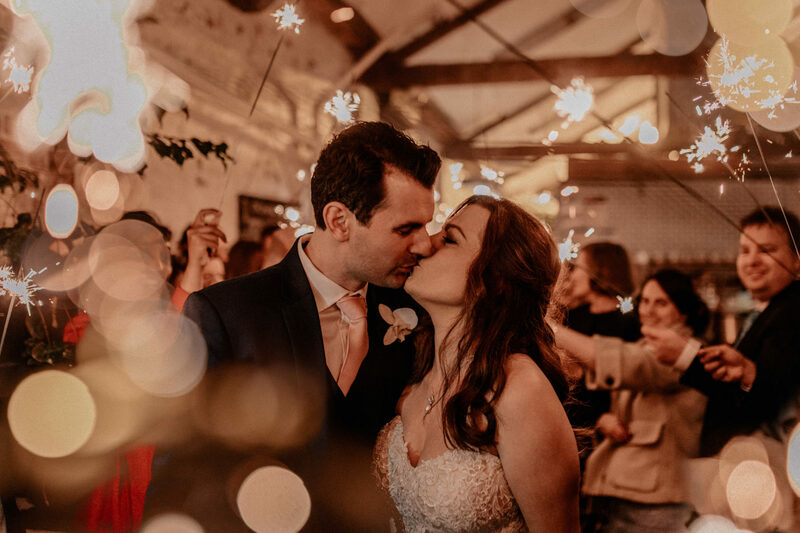 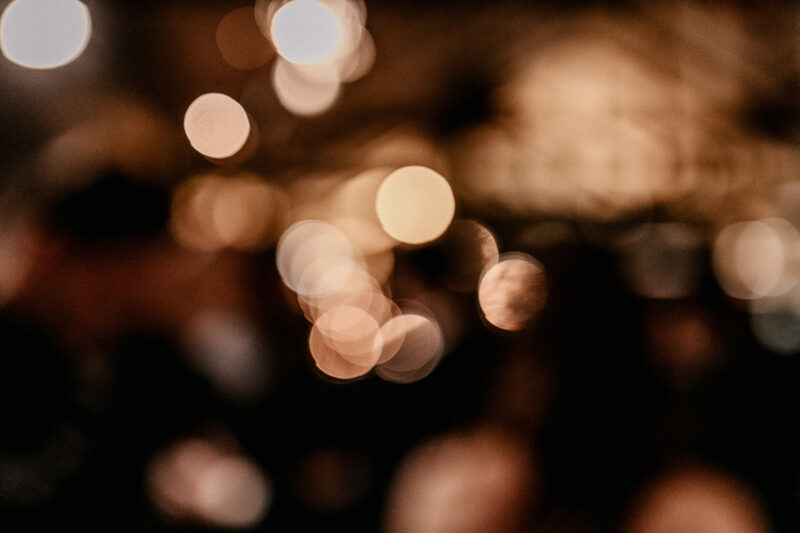 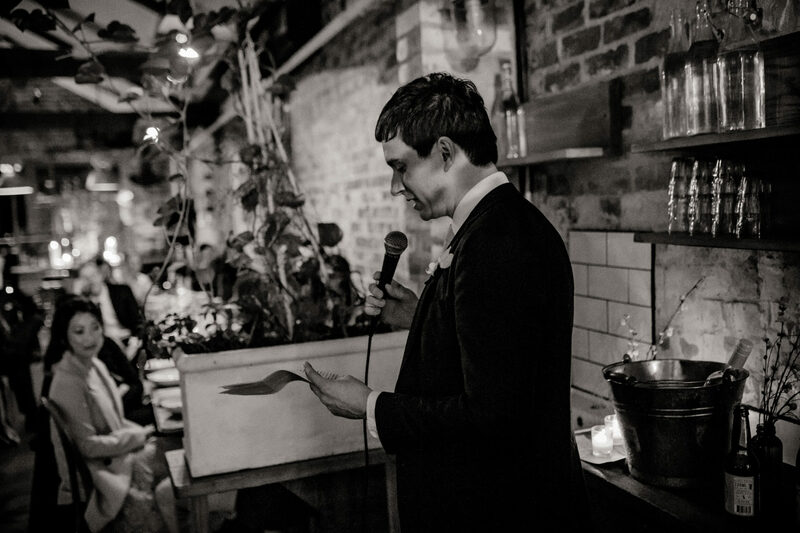 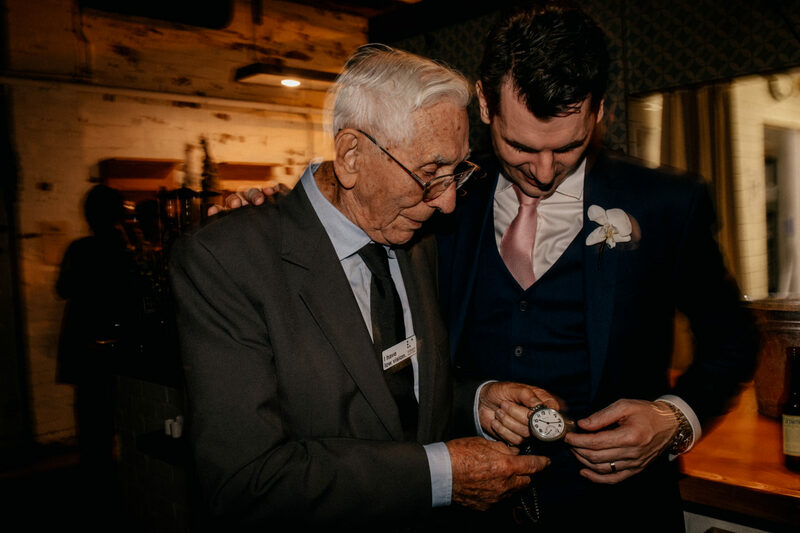 But lets do a litte time travel back to September (while typing that I shake as I realise how bad I am with blogging these days…so many weddings to show you!). 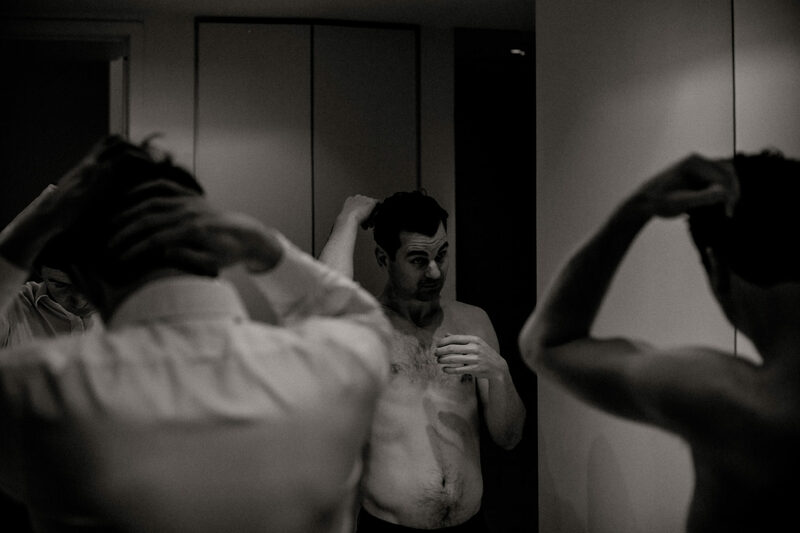 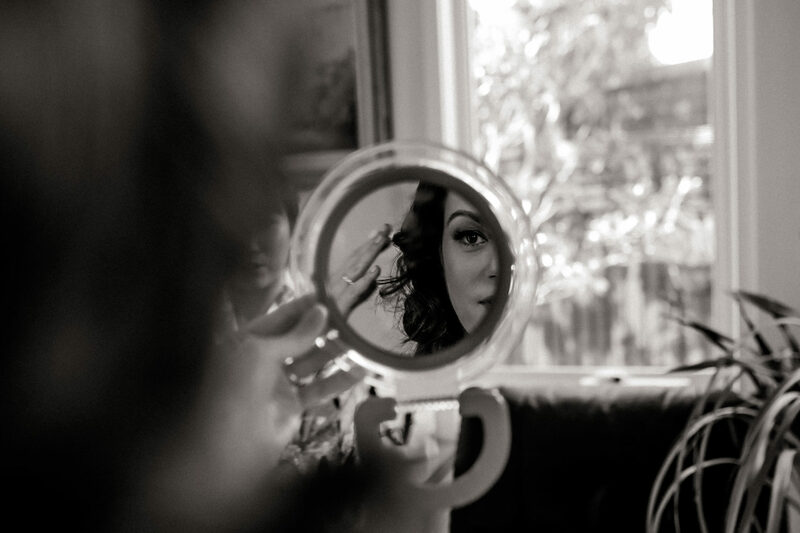 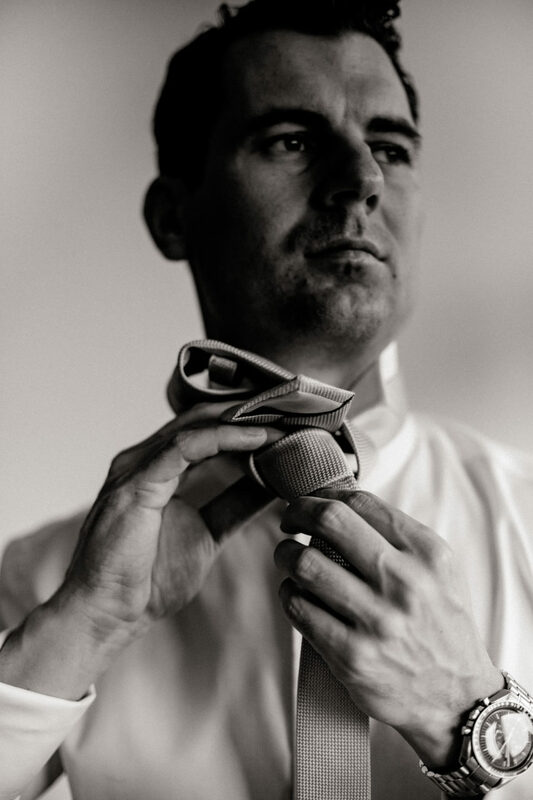 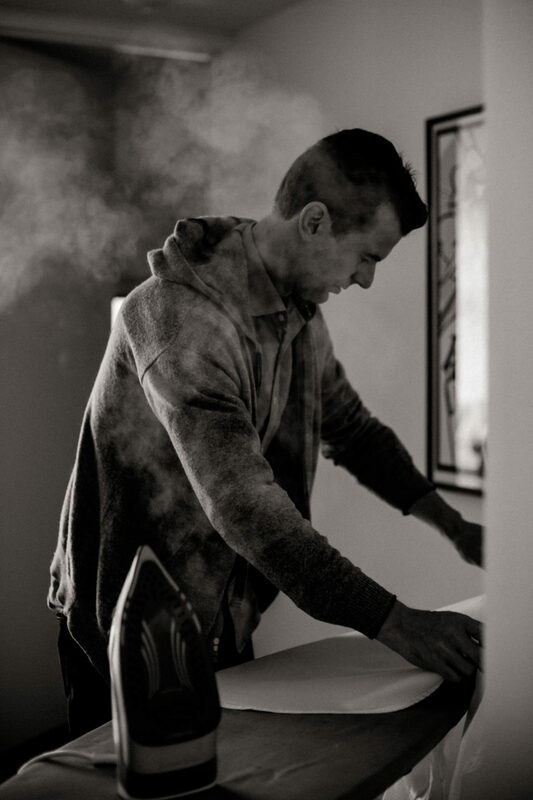 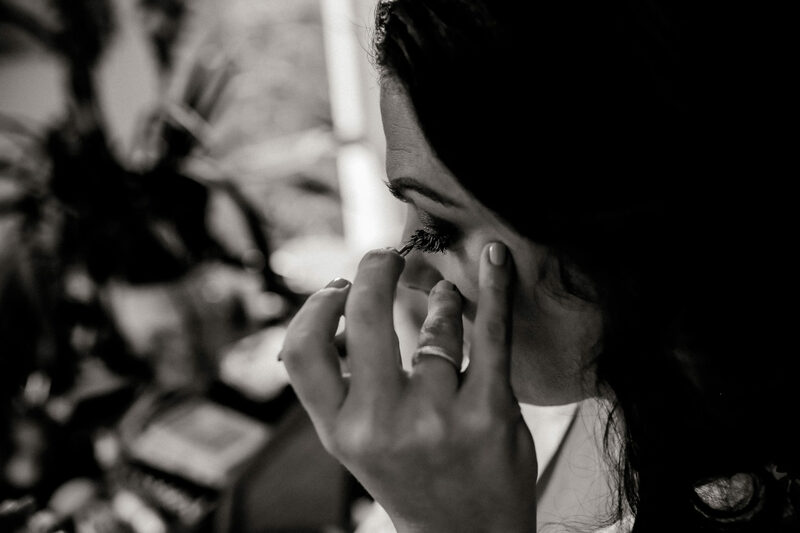 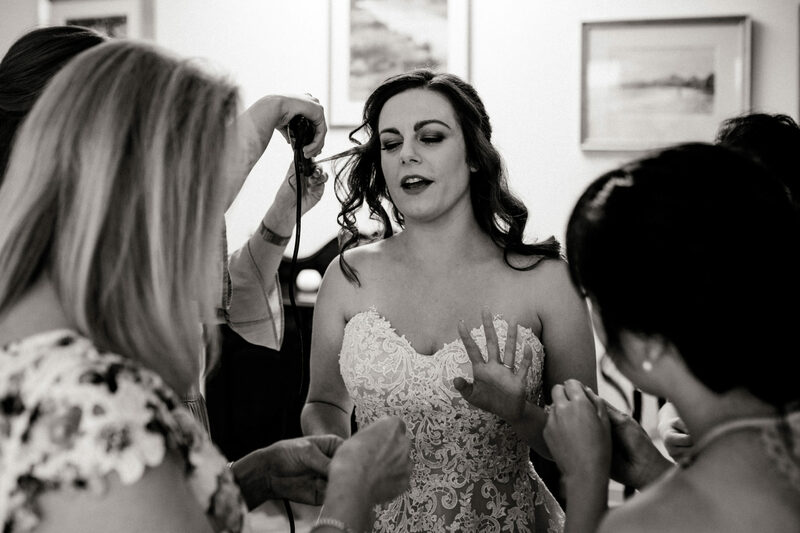 This wedding day starts with a relaxed getting ready, like most weddings do. 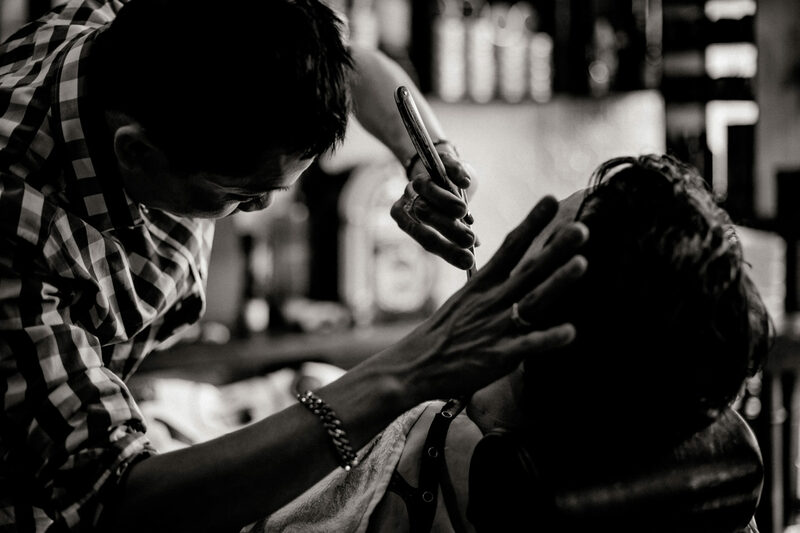 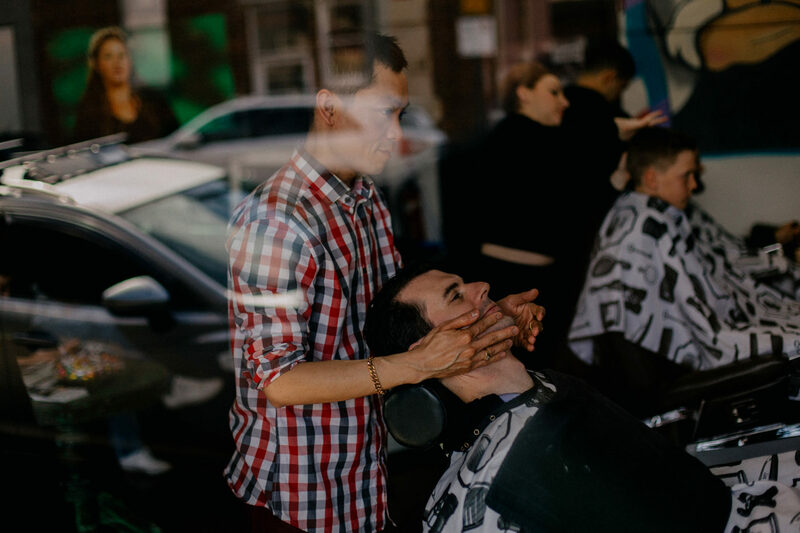 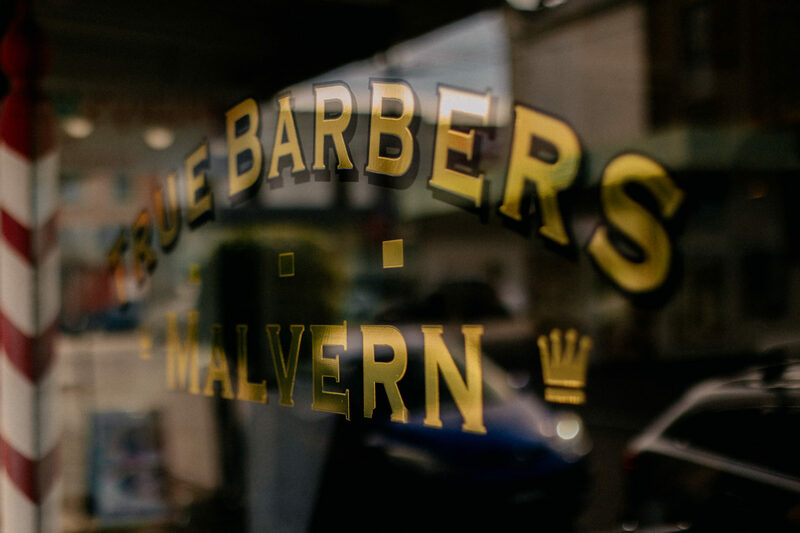 But today the boys are celebrating a bit, too – they are getting spoilt with a barber visit and are looked after very well by the True Barbers Malvern. 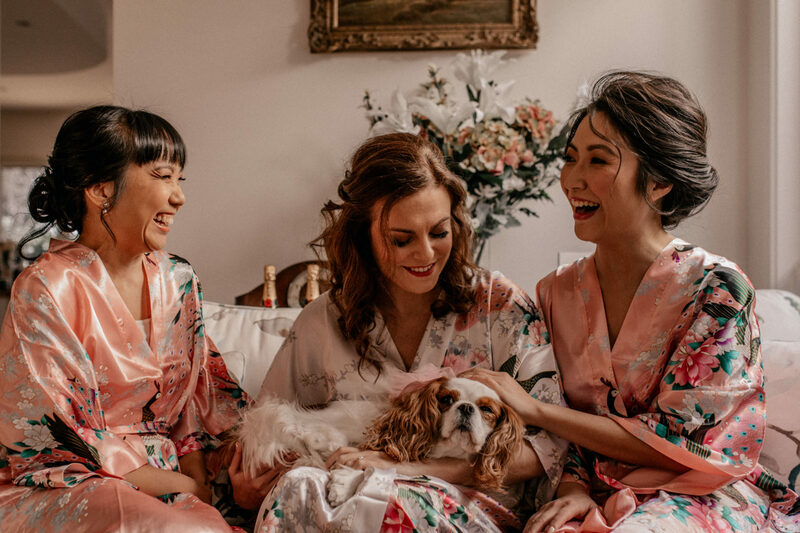 Melissa and her bridesmaids are getting ready at home and styled by the lovely Kate McCleary and having some quality time together. 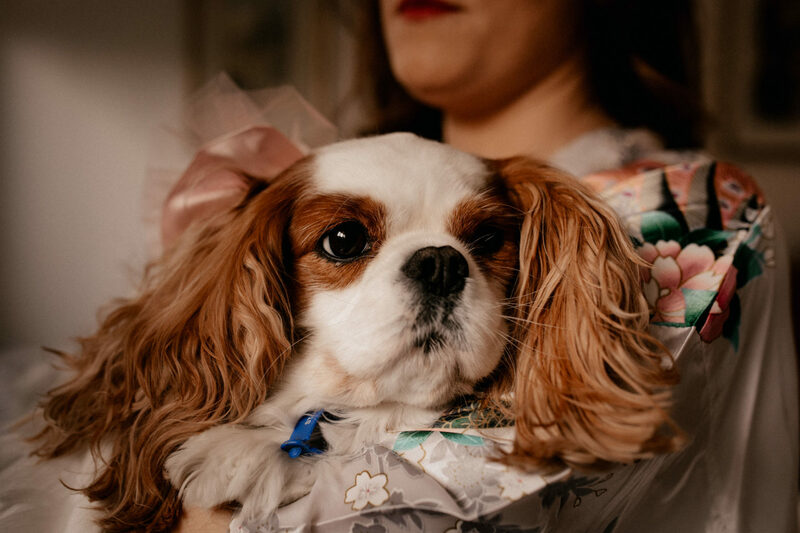 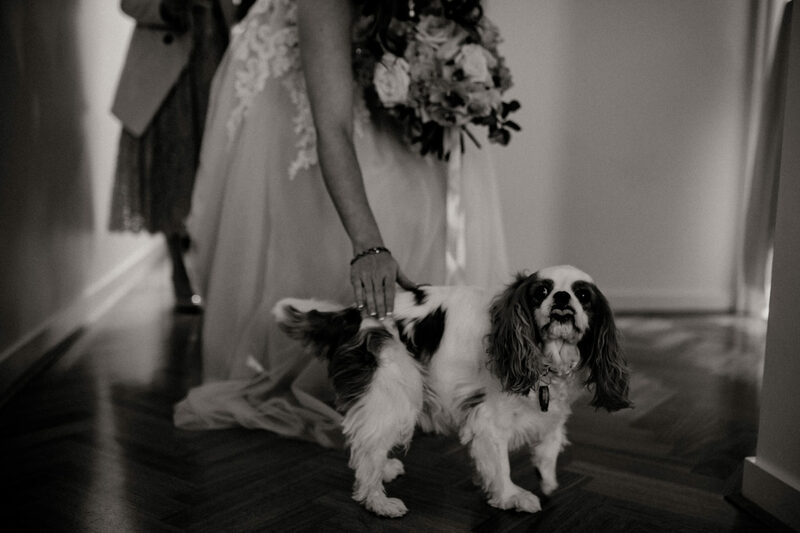 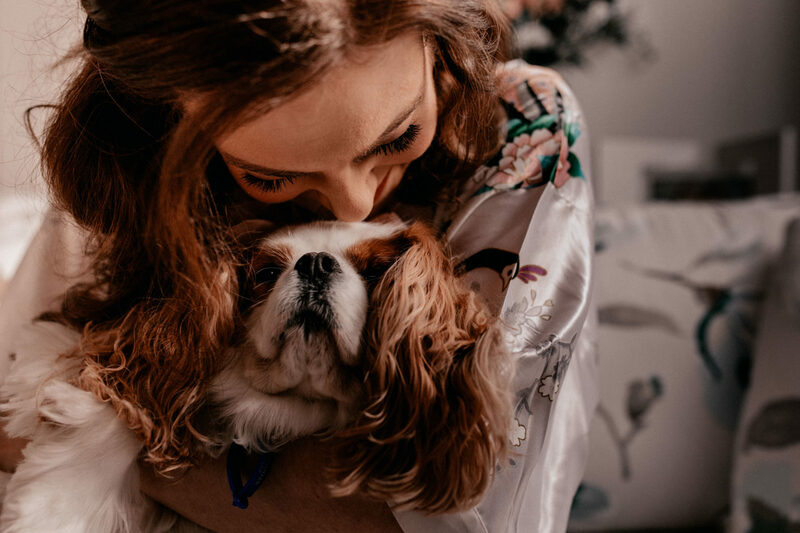 Oh and most important for a dog lover like me: Noah, Melissa’s parents beautiful Cavalier King Charles Spaniel was there, too – such an absolute cutie and he was incredibly proud to see Melissa in her stunning gown. 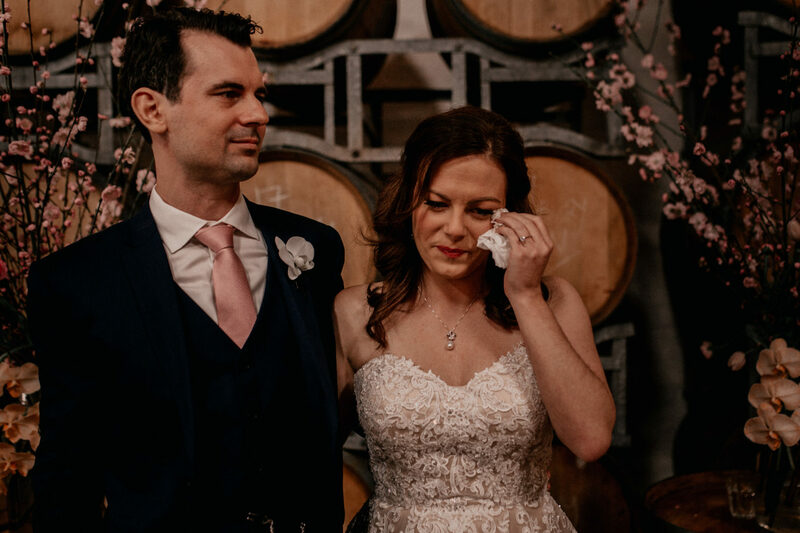 He might have also been a bit disappointed when he found out he wasn’t going to come to the ceremony, though – but he surely had a good sleep during the afternoon when everybody else celebrated. 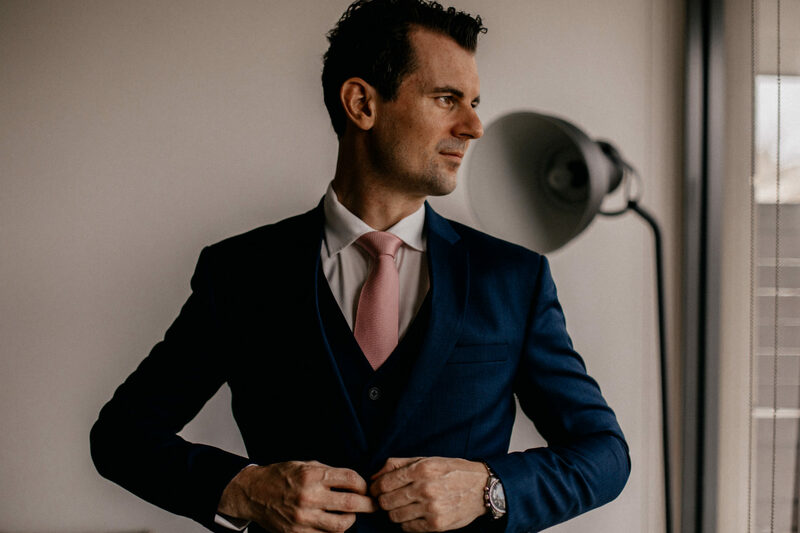 After family portraits all guests are enjoying a little break before the reception and Ingo and I go for a little adventure with Melissa and Kai. 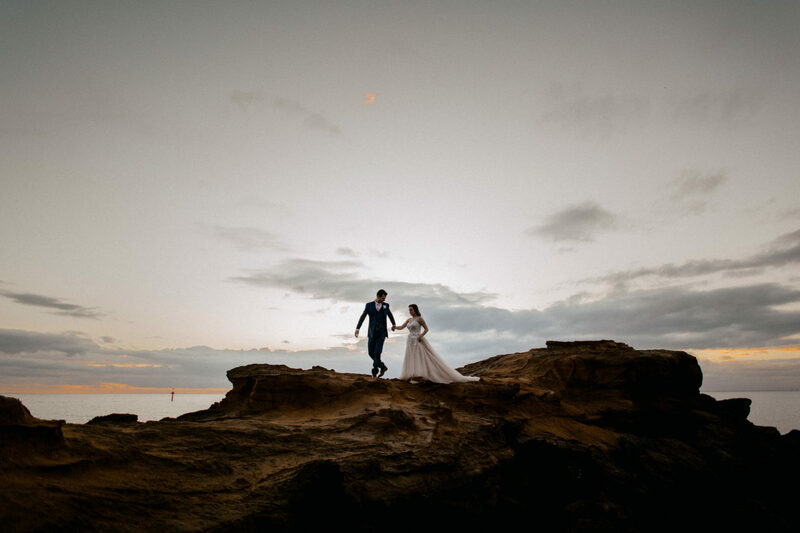 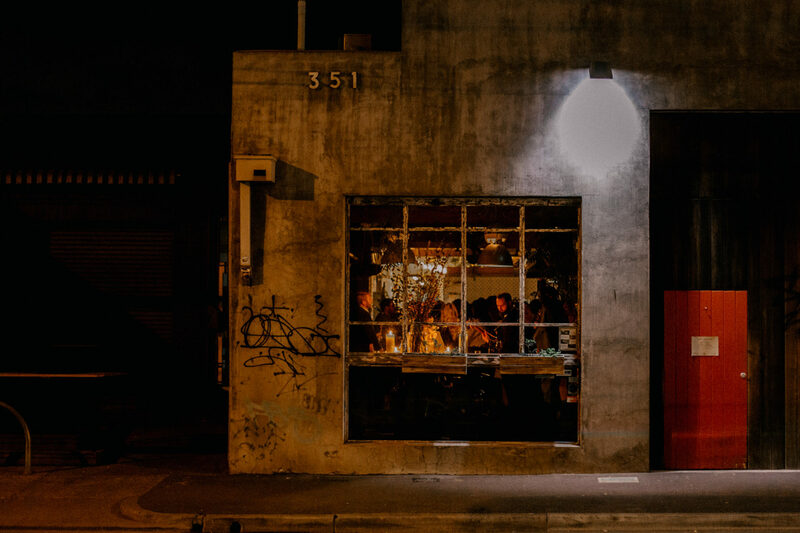 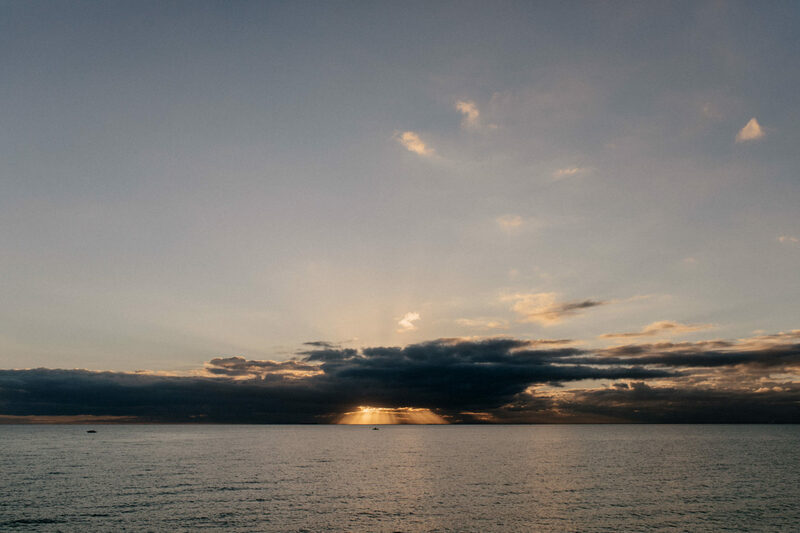 We drive down to the beaches of Melbourne and explore Black Rock Beach. 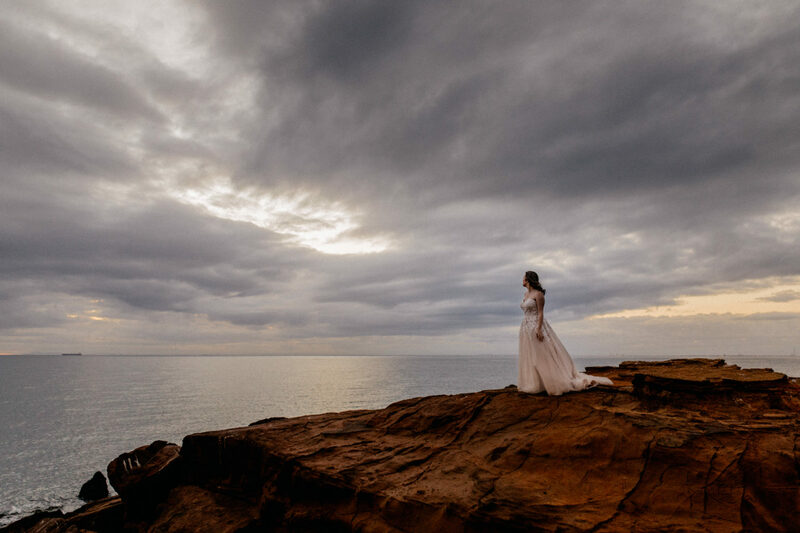 This is the most fun and adventurous portrait session, I have done to date, I kid you not: the bride is not only protecting her wedding dress with a garbage bag, no we have to actually kind of make a protection-dress out of the garbage bag to get bride and gown over the beach without any damage. 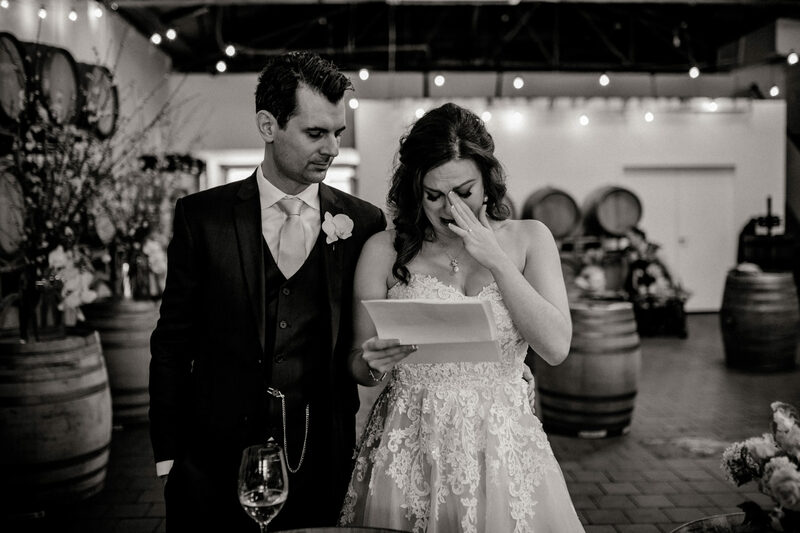 But look at the photos! 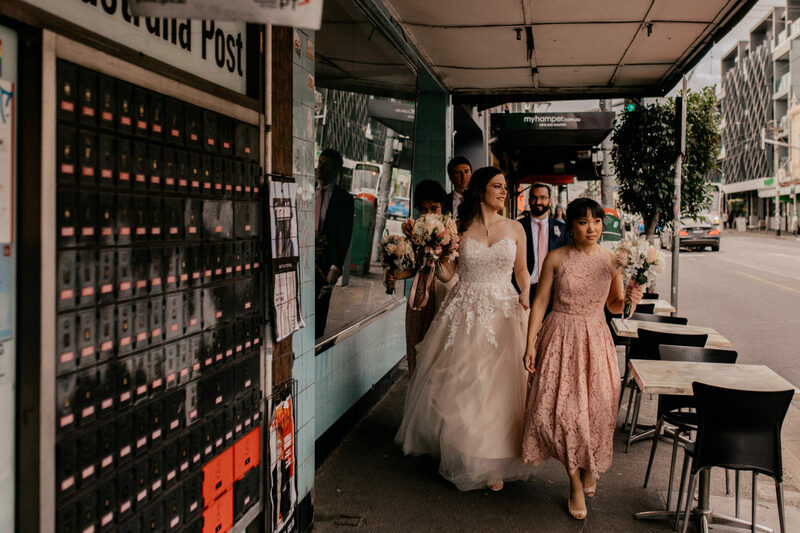 We all are 100% sure this was absolutely worth the effort and I love Melissa and Kai for adventuring with me!